Years ago – as I was making my way through college – I heard over and over again that I would need to “pay my dues” and work at a job I hated for a long time before I found a meaningful career… that a liberal arts degree was worthless… and that being unfulfilled at work was almost inevitable. After graduating and holding down a number of exhausting, boring and otherwise unfulfilling jobs, I’m working for a small business at a job I like. And I can now honestly say this: I’m happy with my job. I’m not alone. Last year, Aflac conducted a small-business happiness survey of 1,000 employees who had worked at a small business (three to 49 employees total) for at least one year. 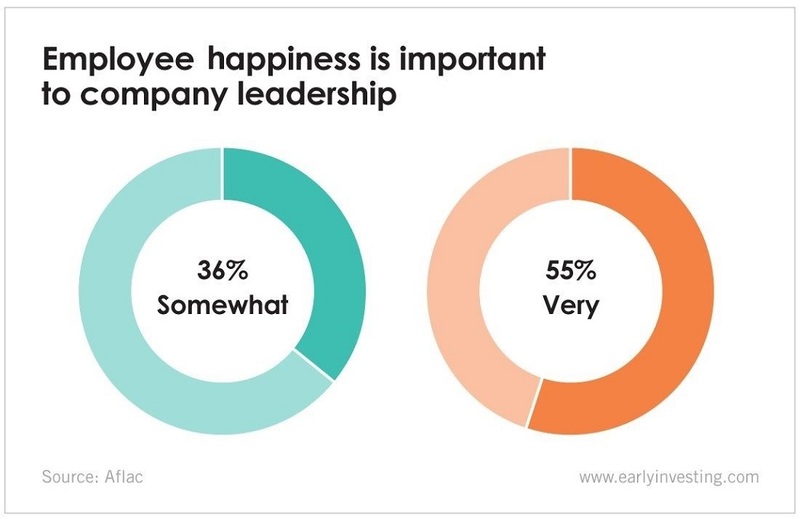 In the study, 87% of respondents agreed that working at a small company is more fun than working at a large company, and 55% said employee happiness was very important to company leadership. I can say from experience that a company that values its employees’ happiness is both a fantastic and productive place to work. And while startups can differ from small businesses, both benefit from happy employees. For one, employee happiness drives profits. Happy employees who feel valued are more likely to come up with creative ideas. They’re more productive. They’re more efficient. And they’re better employees overall. Creativity and innovation are especially important in a startup. As Early Investing Co-Founder Adam Sharp mentioned last week, the best startups are the ones that disrupt slow-moving industry giants or create a whole new industry – or both. It takes a high level of innovation and execution to make that happen. Happy startups mean more innovation, productivity and profit – which makes for happy early investors.